The Third Edition of the Encyclopedia of SciFi Goes Online – For FREE! The third edition of the much beloved Encyclopedia of Science Fiction is coming out soon, and for the first time, not only will it be digital, it will be offered for free. Considering the one from 1995 is currently selling on Amazon for $85.00, this is quite the deal. The first edition of the Encylopedia, whose founder and general editor was Peter Nicholls, appeared in 1979, and contained over 700,000 words. 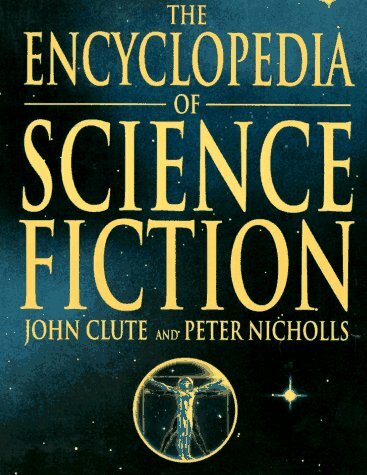 A second edition, edited by John Clute and Peter Nicholls, appeared in 1993 and contained over 1.3 million words. Both editions won the Hugo Award from the World Science Fiction Convention, in addition to numerous other honours. The beta version of the third edition will contain some 3 million words, including about 12,000 entries and well over 100,000 internal links. The entries cover every area of science fiction, including authors, illustrators, movies, music, games, and fanzines. The text will be completed, through monthly updates, by the end of 2012. There’s no official link to the book that I could find at the moment, but once it’s up and running, we’ll be sure to bring you the details! Previous postMortal Instrument Fans, Want to Read Jace’s Letter From City of Glass? Now You Can!